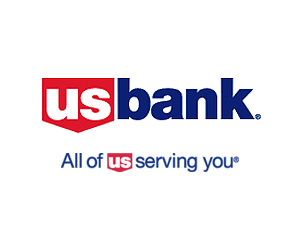 US Bank is targeting some credit card holder with an offer that rewards you when using your cards through Apple Pay. U.S. Bank's premium Altitude Reserve card hits the market. Here is a recap of everything you need to know to decide whether this new metal credit card is worth putting in your wallet. The U.S. Bank Altitude Reserve Card is reportedly coming May 1. A Sapphire Reserve competitor, it will come with 3X earnings on mobile wallet purchases, a huge travel credit, free Gogo internet and more! How a simple mistake that could have been easily avoided, cost me a bonus that could be worth more than $700 and what you should do to avoid it. Today is the last day to apply for a very compelling offer with a 74% increased bonus. Find out more. If you are planning on applying for the FlexPerks Olympic promo, using a referral can be incredibly costly. A look at the final tally on the FlexPerks Olympic Bonus. Is a 74% increased bonus on these cards worth it or should you avoid the FlexPerks program altogether? A 40K Point Error in my Favor? I’m Not Complaining! US Bank and Club Carlson gave me 40K points out of nowhere. Find out why I received this very unexpected surprise.